Breathing and relaxation go hand in hand. As we have seen, respirat n slows down naturally during the course of relaxation, and under carel ly monitored conditions 2:1 breathing (chapter 2) can slow the heart r e.
ways, and this is controlled by both the sympathetic and parasympath ic components of the autonomic nervous system. Exercise stimulates the sympathetic nervous system and the releas >f epinephrine (adrenaline) from the adrenal medulla, and this ddates ie bronchioles and makes breathing easier. As we saw in chapter 2, relaxal >n diminishes the activity of the sympat het ic nervous system to the bronchi' *s and increases parasympathetic input. Both systems together act on smooth muscle encircling the airways, causing them to constrict and then >y increasing resistance to air flow, and this neatly coincides with the fact t it we make use of less alveolar ventilation when we are relaxed. It should now be apparent that anyone who wants to master relaxation must have a full repertoire of breathing practices. If airflow is unimpeded, you can stick with abdominal breathing for maximum relaxation and stimulation of the parasympathetic effects on the bronchioles. If you sense some restrictions in the airways, it will be more appropriate to mildly stimulate the sympathetic nervous system with diaphragmatic breathing, which will not only open the airways but will also keep you awake. And for a more dramatic stimulation of the sympathetic nervous system, take 5-10 empowered thoracic breaths, or even complete breaths, which have a paradoxical component. 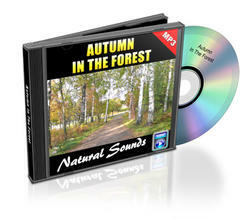 This will open the airways significantly and prepare you for a peaceful relaxation.